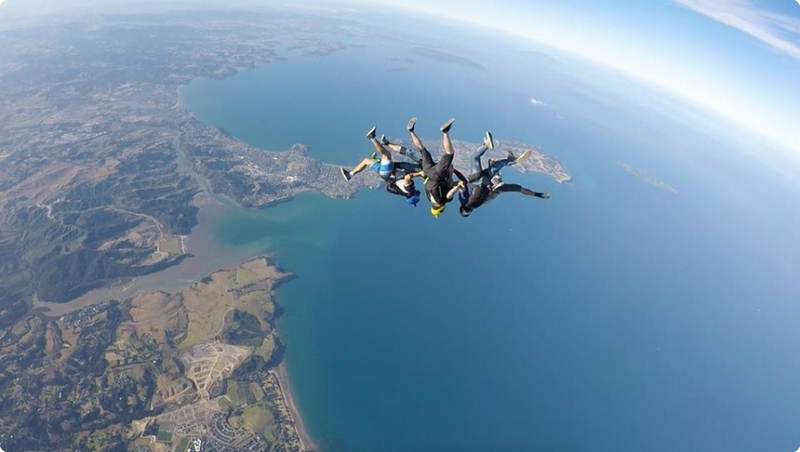 For adrenaline seekers, Auckland is a very welcoming city in a county that has a reputation for adventure. 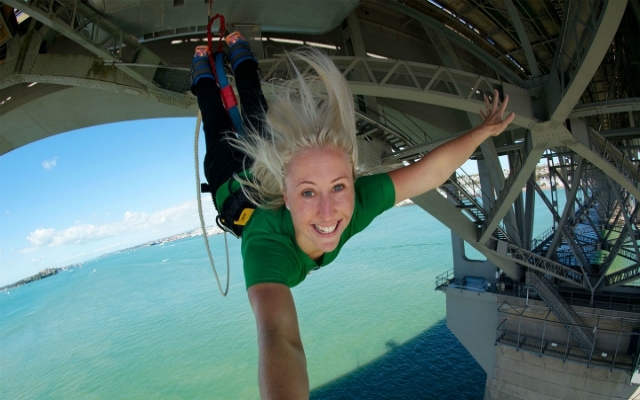 In our 'Top 7 Auckland Adrenaline Activities Guide’, we cover land, sea and air based activities that will challenge and inspire you. 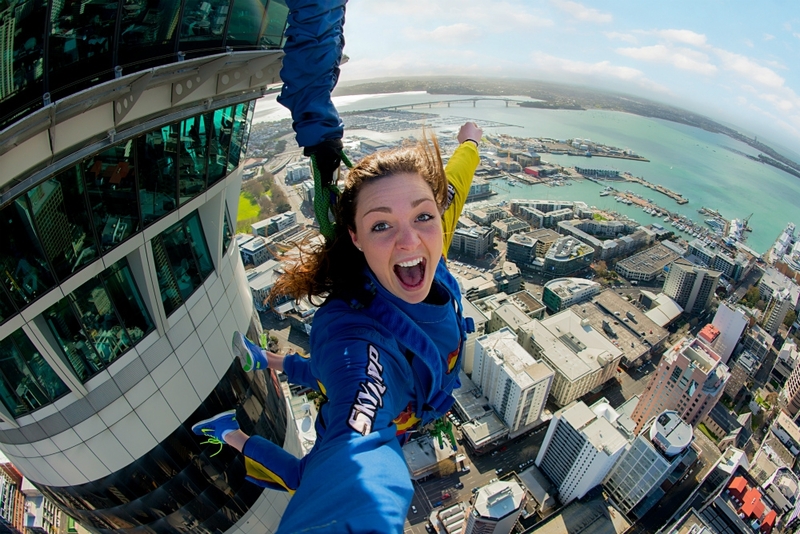 For adrenaline junkies, SkyJump is a unique and thrilling attraction. It’s not easy just to leap off a tall building, all be it on a harness. Standing high above the city, you’ll be able to take in the panoramic views from New Zealand's tallest structure. If you look down too long you may not have the courage left to continue! But if you do, it’s around 11 seconds of fast falling at around 85kph before touching down in the Sky City plaza below. Location: Victoria Street, city centre. 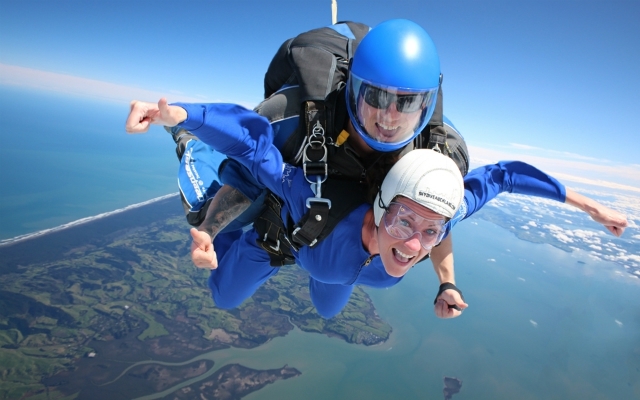 If you’re going to jump out of a plane, why not experience the thrill with Skydive Auckland who offer the highest tandem skydive in New Zealand. You can skydive from 20,000 feet which means 85seconds of the ultimate ground rush. They do also offer jumps slightly lower at 9000ft jump,13,000ft or 16,000ft jump. The good news is you don’t need any experience as you’ll be looked after by a team of experienced instructors. For skydive enthusiasts there is also the option of solo skydive options and the opportunity to learn with a skydive course. The classic adrenaline activity, with a city twist. 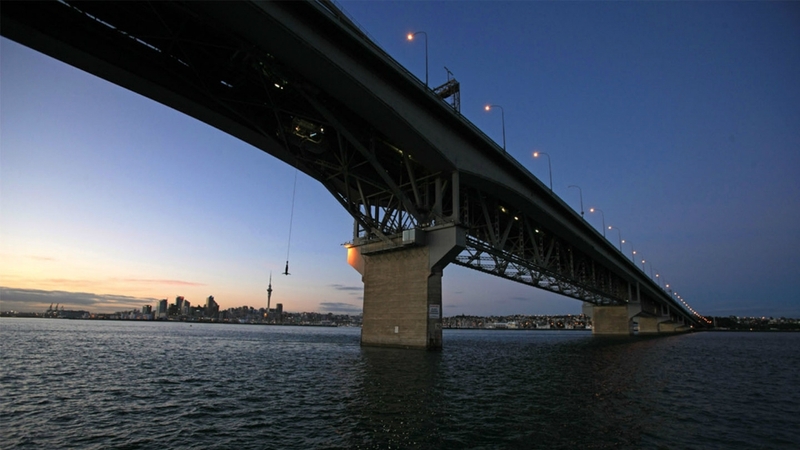 Auckland is home of the world's first Harbour Bridge Bungy Jump, and is run by the bungy experts from Queenstown, AJ Hackett. Hanging from underneath the bridge is a jump pod – a unique sight in itself. 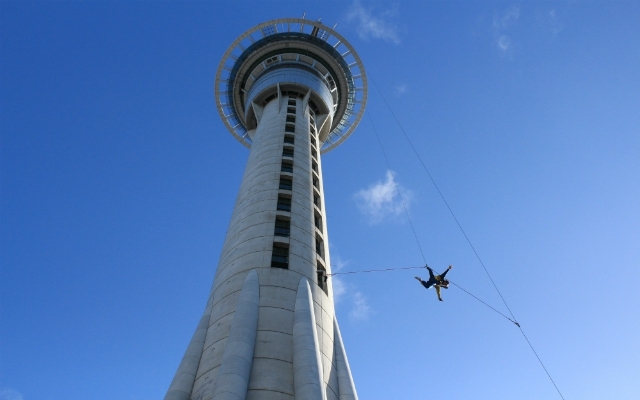 It's from here that you can leap towards the waters below of Waitamata Harbour and enjoy the thrill of New Zealand’s only 'Ocean Touch' bungy jump. A 40 metre fall with unforgettable views! A complimentary bus departs from outside the AJ Hackett Visitor Centre at the Auckland Sky Tower, Corner of Victoria and Federal Street. Buses depart daily at 9.00am, 10.30am, 11.30am, 1.30pm, 2.30pm. You can also drive yourself to 105 Curran Street Extension, Westhaven Marina. This activity has the added bonus of being located on the beautiful Waiheke Island, a short ferry trip from downtown Auckland. 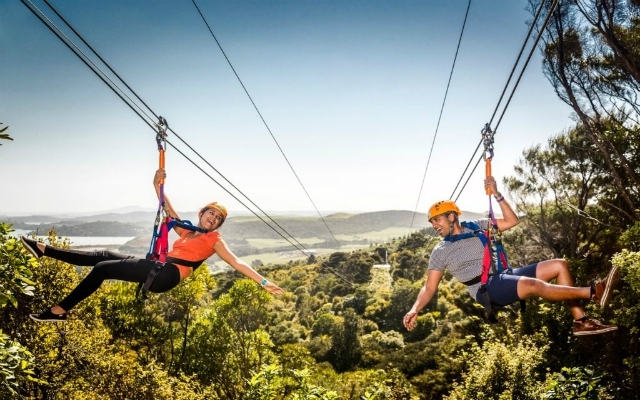 EcoZip Adventures gives you the chance to combine a thrilling zipline ride with a guided bush walk back to base. The 200 metre zipline has two lines side by side which mean it’s a great way for friends and relatives to enjoy the experience together. After the zipline, a guide will accompany guests on the walk, explaining more about the flora and fauna as it passes by. Pricing: From NZD $129. Collection from Matiatia Ferry Terminal or Oneroa Village. For added convenience, EcoZip offers a complimentary pick up from the ferry terminal and drop off at any chosen location on the island. 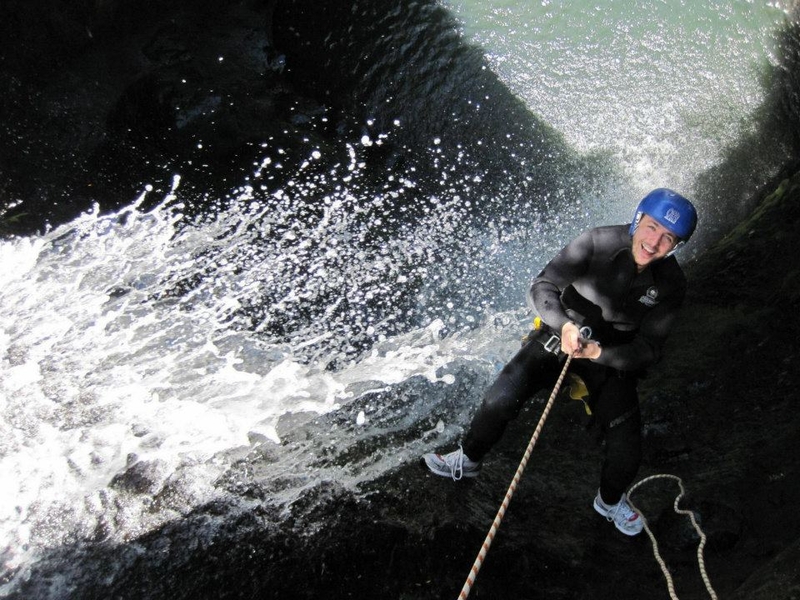 Fancy abseiling down a steep waterfall in a rainforest? 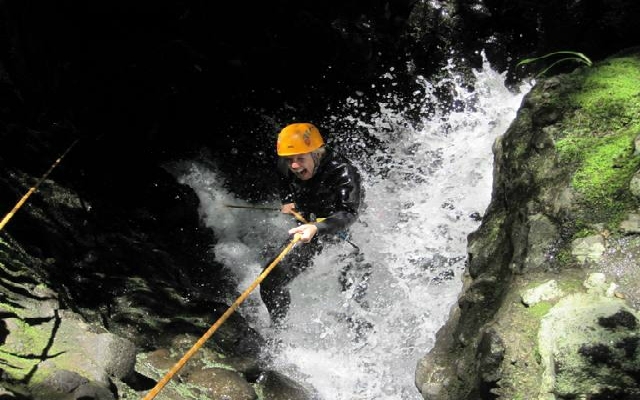 AWOL Canyoning operate trips just west of Auckland with the promise of spectacular scenery, abseiling, thrilling jumps into beautiful clear pools, caves and canyons all under the watchful eye of trained guides. Adventurers can choose from the Piha Canyon or the Blue Canyon, both located in the stunning Waitakere Ranges Rainforest. All equipment is provided with each trip led by a guide who along with safety, provides commentary the local history and its flora and fauna. Full, half day, and night trips are available with lunch included on full day trips. Collection is from the main entrance of the Sky City Hotel in the city centre. If you prefer to make your own way, drive to the Piha General Store in Piha. Strap yourself in and hurtle across the waters of Auckland’s Waitemata Harbour at incredible speed. Powered by 300HP engines, the jet boat is the quick way to see some of the city’s famous landmarks with plenty of spins thrown at you. Travelling up to 100pkh, this is a high-octane ride which lets you experience the city skyline, Auckland Harbour Bridge, Kauri point and the iconic pink Chelsea Sugar refinery. 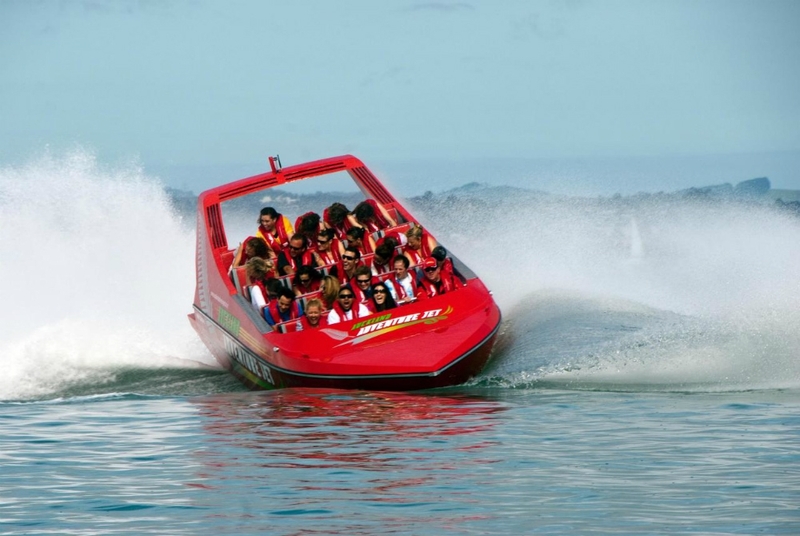 Auckland Adventure Jet Boat (red boats) – Prices from $NZD98. Located on Pier 3A, Quay Street. 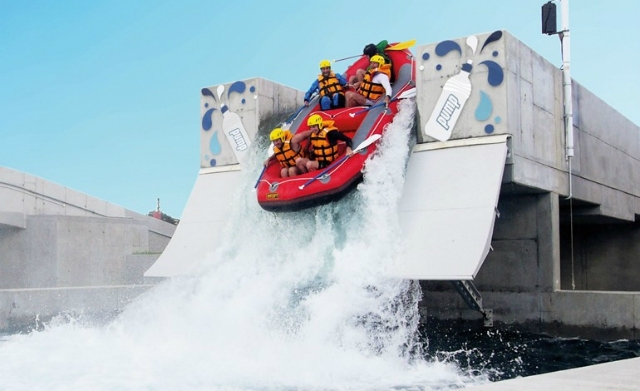 Vector Wero Whitewater Park is located to the south of the city and offers the choice of two white water rafting courses, 9,000 sqm of beautifully clear water to explore, and the world's highest man-made waterfall! 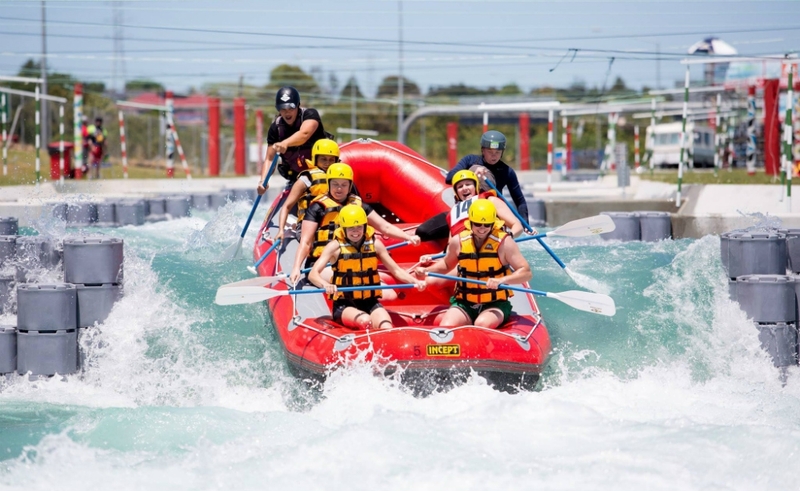 For the biggest thrills and the most challenging rafting experience have a go on the ‘River Rush’ experience. Your rafting guide will navigate you through these challenging waters while you hold on to your paddles. The highlight is the ‘Pum Waterfall’, an exhilarating 4.5m drop down and suitable climax to this white knuckle ride. Located on 770 Great South Road, South Auckland. Auckland's geographical make-up, on a narrow isthmus of land, means it’s a two coast surf destination. 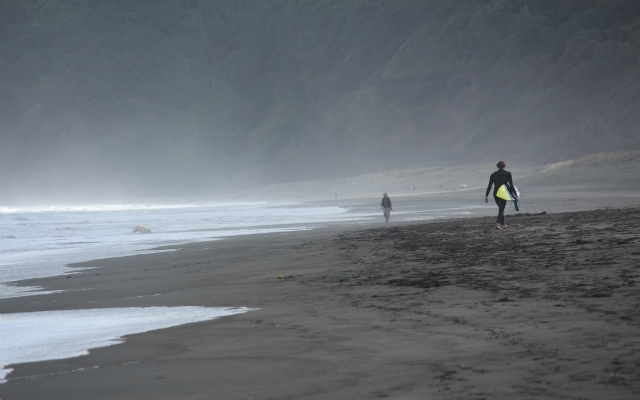 The west coast beaches (including Piha, Muriwai) are typically wild and challenging, highly consistent and suitable only for experienced surfers when it gets big. The east coast (including Te Arai and Tawharanui, although less consistent has some mellower options and great beginner friendly spots. You can read more in our ‘Auckland Surfing Guide’.